And it quickly became a hot seller. 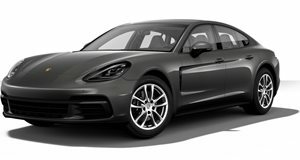 Love it or hate it, no one can deny the success of the first generation Porsche Panamera, the first production sedan the famed German sports car ever built. Years prior to its 2009 debut, Porsche had been kicking around the idea of building a sedan, hence the late 1980s 989 concept. It essentially was a stretched 911, and Porsche ultimately didn’t build it, but the sedan it did green light years later was far, far better. And yes, many say it’s ugly. The first generation Panamera has that awkward exterior styling partly because Porsche’s CEO at time was a tall guy, and he demanded designers and engineers find a way to make him completely comfortable in the rear seat. The result looked, as some put it, like a beached walrus, but the sales numbers defied expectations. The Panamera, like the Cayenne, may have angered brand purists, but it was a huge money maker. So before we get to the all-new second generation Panamera, we figured it was time to pay due respect to the first gen model, and it’s still impressive some six years after it first launched. Our 2016 tester came powered by the base 3.6-liter naturally aspirated V6 with 310 hp and 295 lb-ft of torque, with power going to the rear wheels through a seven-speed dual-clutch. Sure, there’s also the mighty Panamera Turbo S with its 4.8-liter V8, but not everyone needs that much power. Overall, there’s a lot to like here, and used Panameras can probably be had for a good price these days. Special thanks to Sonnen Porsche for letting us film the car.